Pilot ejects moments prior to crash, narrowly escaping certain death from the impact and fiery wreckage. 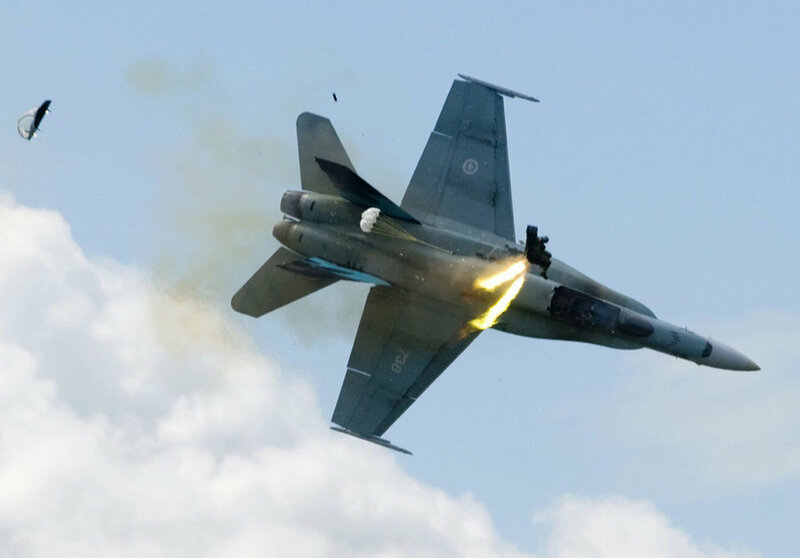 Canadian Forces pilot Capt. 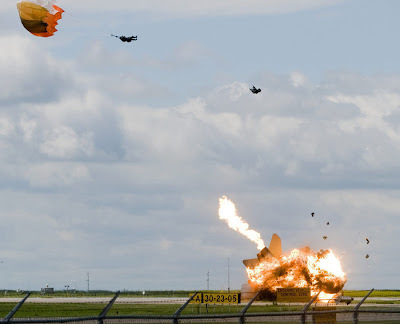 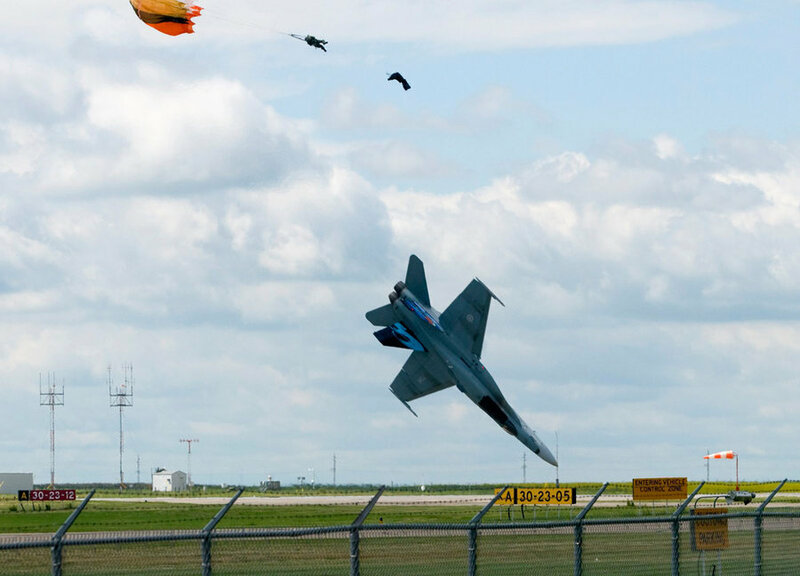 Brian Bews ejects as his CF-18 fighter jet plummets to the ground during a practice flight on Friday, July 23, 2010. He was preparing for the weekend airshow.